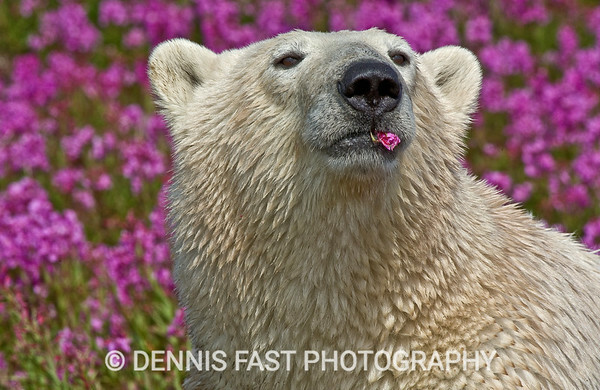 Dennis Fast is an internationally recognized wildlife photographer. His photographs have appeared in numerous calendars, magazines and books. Wapusk: White Bear of the North, featured his early work with polar bears and became a best seller in Canada with over 7000 copies sold. Dennis's polar bear images are featured in the new world class polar bear exhibit Journey to Churchill in Winnipeg's Assiniboine Park Zoo. Dennis has also recently published a children's story about polar bears titled Princess, which was short-listed for “Children's Book of the Year” in Manitoba in 2014; and a coffee table book, Touch the Arctic. A recent interview photo story in an online magazine about polar bears in a field of fireweed created an Internet sensation and was featured on major sites in many countries around the globe. 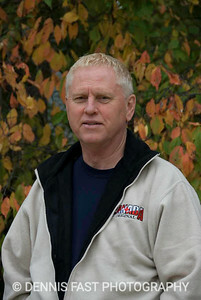 Dennis frequently presents at various conferences across Canada. "Photography has taught me to seek the delicate moments in nature where life is on the edge and where change is a heartbeat away. My hope is to touch people's minds and hearts; to help them reconnect with the earth; and to teach respect and gratitude for all of nature. I hope my photos do that for you. Beauty is everywhere if you look, but it begins first of all in the heart."